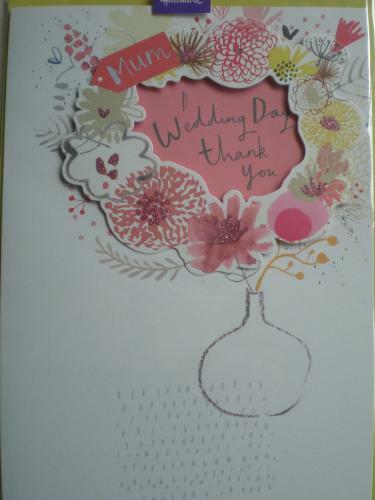 A perfect card to send your mum for the help she gave for your wedding. The message inside reads "For the suooprt, the advice, the love, the decision-making, thanks Mum... you helped to make our wedding day even more perfect. With love".